The Centers for Disease Control have a link with information on health issues related to the drought. Information included on this web page is water, air quality, food and nutrition, sanitation and hygiene, recreational risks, infectious disease, chronic disease, and diseases transmitted by animals and insects. As Seasonal Drought Outlook (below) shows peristence and intensification of the drought over much of the country through the end of the year, I share with you the leadership of the newly formed Drought NEIL (National EDEN Issue Leader) Team. The team is charged with the development of sustainable EDEN and EDEN eXtension drought preparedness, response, recovery and mitigation research based resources. Working from a Logic Model, we will be building on the excellent resources shared by Extension Specialists and County Extension Educators. First of all, let me apologize for having missed a few weeks. As some of you know, I am based out of Purdue University in Indiana. And March is out to prove that old idiom right this year; in like a lion, out like a lamb. Starting February 29 and continuing through March 3, Indiana – along with several other states – was riddled by severe storms and tornadoes. I have since been responding in the southern part of Indiana. But now it’s time to get back on track a bit, at least keeping the blog updated again. Having been working with families affected by the storms, I remembered a great resource for helping children cope with the effects of a disaster. Yes, I know this is a preparedness post, but it all ties together. Your children’s favorite furry red friend and big yellow bird, Elmo and Big Bird, along with the rest of the gang have great resources for dealing with disaster. 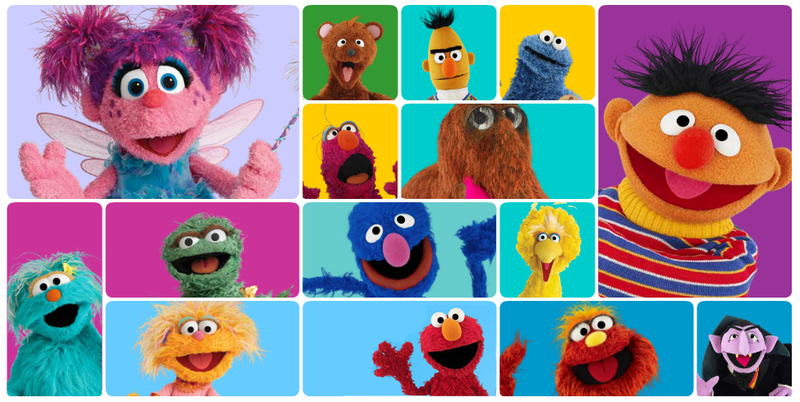 If you haven’t checked them out before, slide on over to www.sesameworkshop.org and give all of Sesame Street’s workshops a look. Along with their great preparedness toolkit, Let’s Get Ready! Planning Together for Emergencies, Sesame Street has developed programs helping children deal with loss. Sesame Street designed an entire series around hurricanes, which in fact relates very well to sever storms and tornadoes. 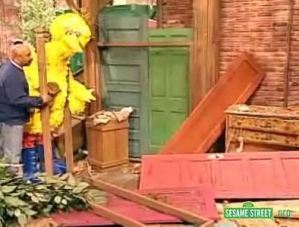 In the series, Big Bird’s nest is destroyed in the hurricane. Through activity books and videos we follow Big Bird through his experience. We watch the Sesame Street community comfort Big Bird when he experiences the initial shock and sadness of losing his home, continue with the story as everyone pitches in to clean up Sesame Street and build a new nest for Big Bird, and finish up with Big Bird settling into his new nest. By incorporating familiar characters in your family preparedness efforts, your children will want to become more involved. The characters can also help create a sense of comfort and safety when recovering from a disaster. For more information about EDEN, visit www.EDEN.lsu.edu.